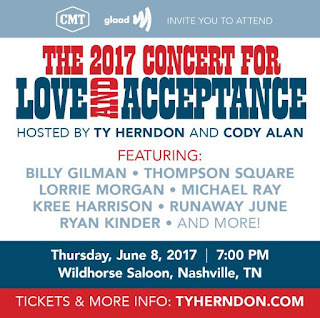 Ty Herndon & Friends Concert for Love and Acceptance Lineup Revealed! 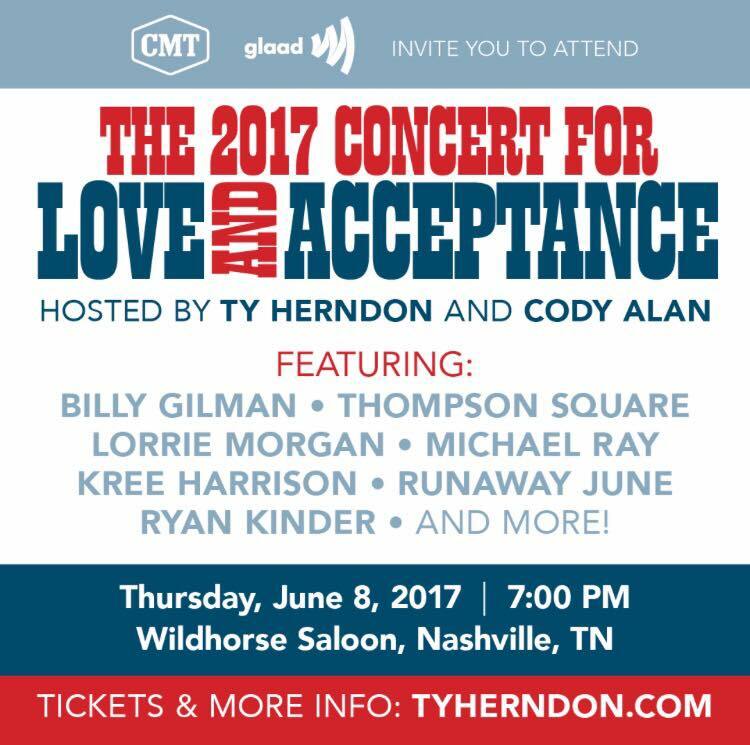 Ty Herndon has released the first wave of artists that will perform at the 2017 concert for Love and Acceptance hosted by Cody Alan and we are very impressed! Scheduled to appear are: Billy Gilman, Thompson Square, Lorrie Morgan, Michael Ray, Kree Harrison, Runaway June, Ryan Kinder, and more to be announced! $100 tickets include VIP seating and meet and greet. $50 tickets include reserved seating on the main floor and the second floor rail. $25 tickets are general admission limited seating on floors 2 and 3 and are first come first served. Under 18 must be with an adult.